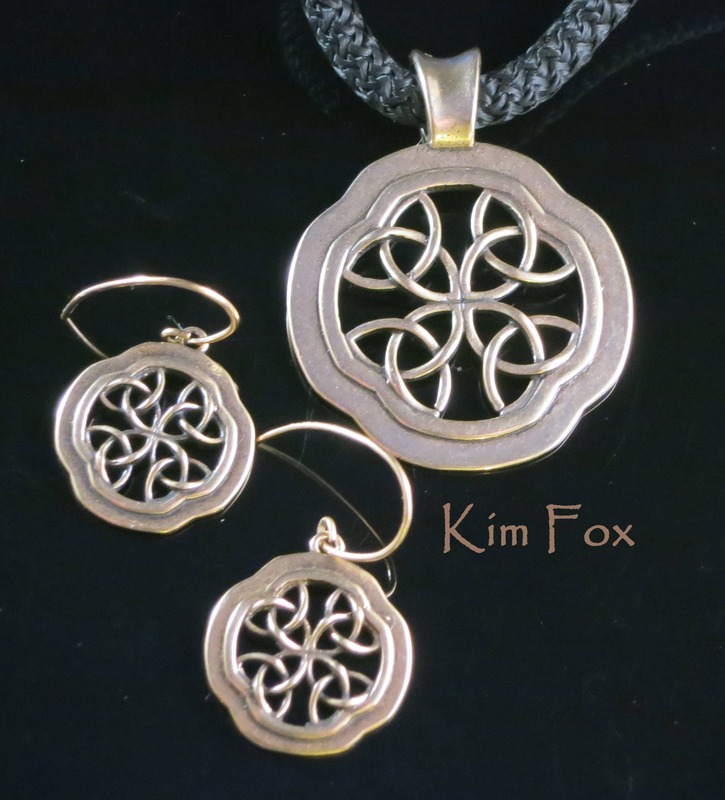 Brand New Celtic Window pendant in golden bronze is a rounded quatrefoil in shape with a generous bail. The cord in the picture is 5mm across. 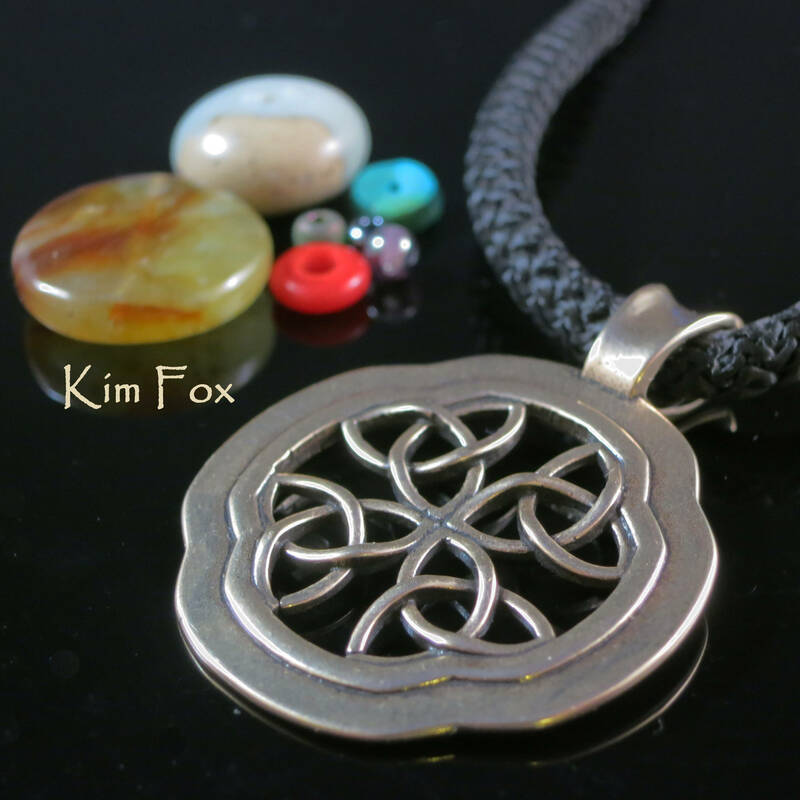 I am half Irish in heritage and I love taking the traditional and changing it up a bit. 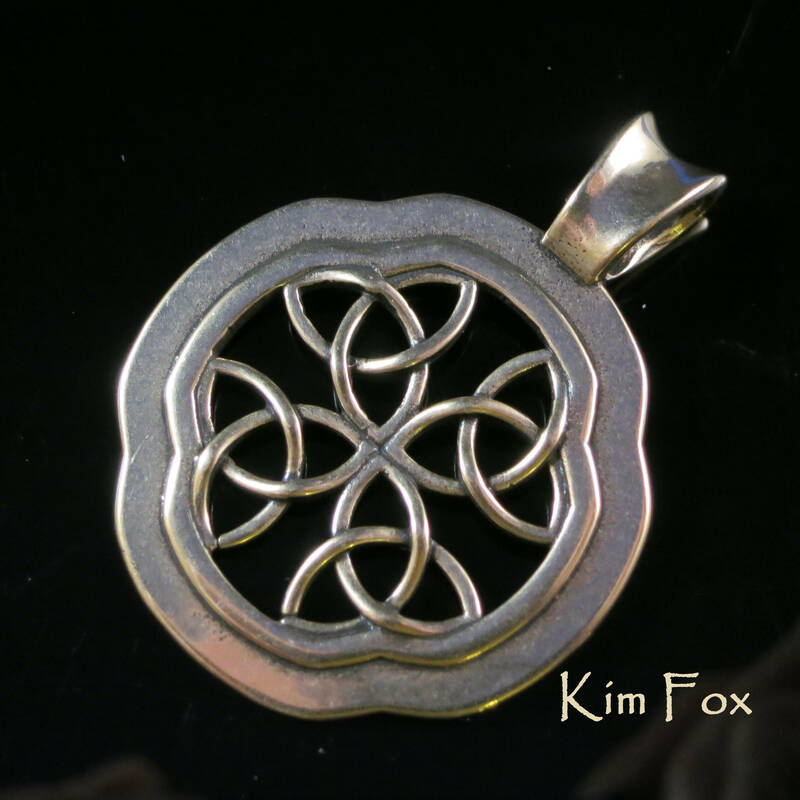 The trefoil shapes are surrounded by a bank of metal. Its size is generous at 1 3/8 by 1 3/4 inches or 45 by 35 mm. Earrings in the same style have also been made. 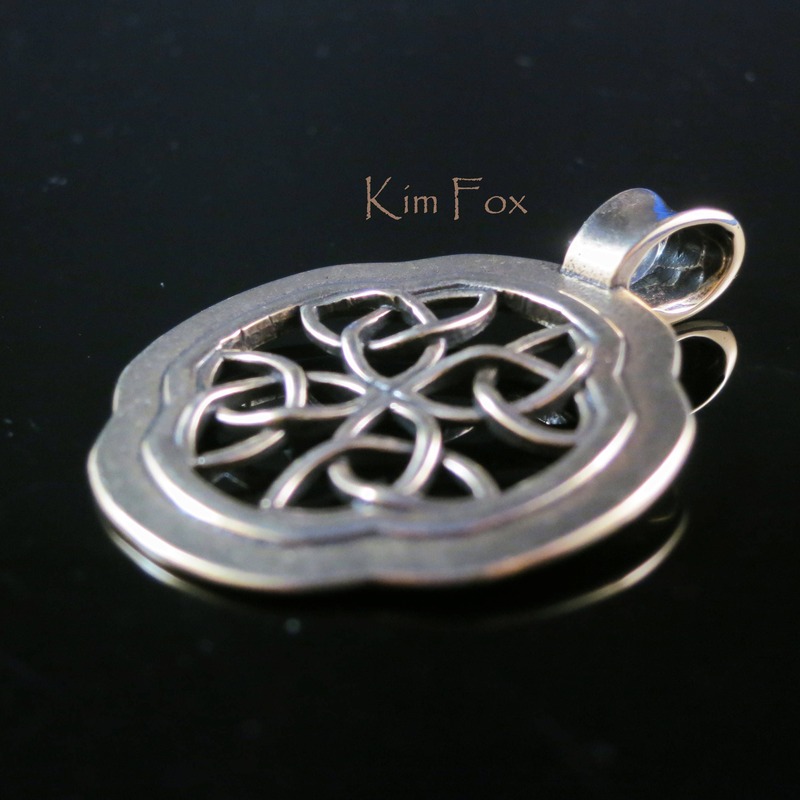 The pendant is perfect for someone who loves Celtic, Irish or Scottish heritage and symbols.